Clients have a range of options for any consultancy. Generally, a visit to a property to discuss possible land uses, choice of house site, house retrofitting ideas, location of dams, orchards and so on can take about two hours. The usual fee (+ travelling) is $220 to $330. 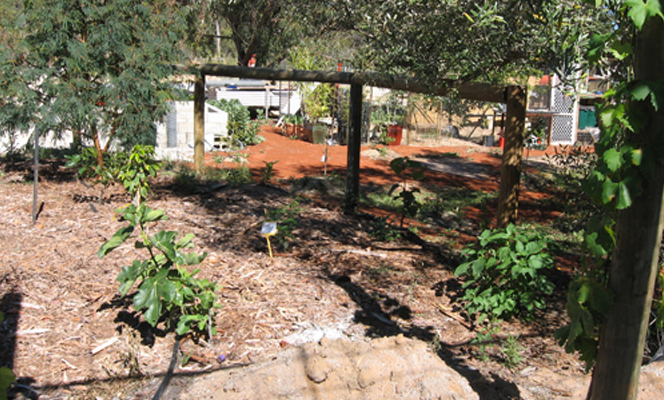 Should you require a permaculture design on the property or a detailed report, the fee is calculated on an hourly basis for time taken on the project. This may take up to 20 hours, or more, and cost between $1100 to $2200. The design is a collaborative effort between designer and client and many discussions and site visits are needed to determine what is best for the land, what is best for the people and what is best for the environment.